Channeling strength and compassion during hardship, Miami resident Andrea Ivory embodies the definition of “hero” daily. Ivory reached “an epiphany” after her early-stage breast cancer diagnosis in 2004. Amazingly, as she underwent treatment, her concern was for others. “I thought about the women who were dying because they didn’t have the same access to available treatment or even the same amount of knowledge base I had about cancer,” said Ivory. She wasted no time. Just one year after her diagnosis, Ivory founded the Florida Breast Health Initiative, which evolved into today’s Women’s Breast and Heart Initiative (WBHI), dedicated to helping at-risk women by providing access to resources to control or minimize the risk of both breast cancer and heart disease. 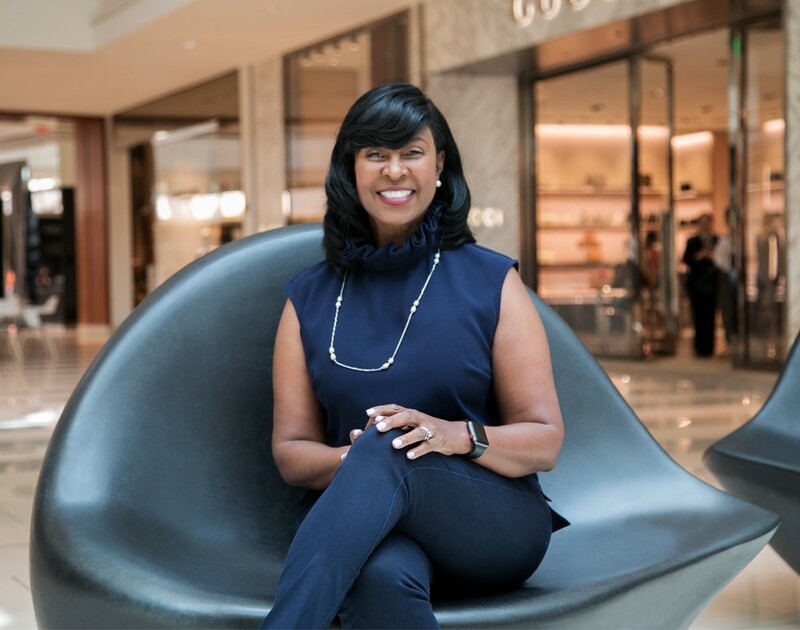 Aventura Mall has provided a steady platform for WBHI to reach women. Its 12-year relationship with the organization continues with the Breast Cancer Awareness Pink Walk on Sunday, Oct. 14. All proceeds collected from the event will be matched by Aventura Mall and donated to WBHI. Ivory’s mission began with knocking door-to-door in low-income communities to share life-saving information with underserved women. The month-long effort culminates with the campaign’s highly anticipated finale – screening and wellness day. Local women are introduced to life-changing technology through mobile mammography, cholesterol, hypertension and glucose screening vans. Participants leave with fresh fruit and vegetables, as well as healthy-eating guides, and are reached by WBHI 30 and 60 days after the campaign to gauge effectiveness. “For me, touching the women, going into their neighborhoods, educating them, giving them an opportunity to benefit from the prevention and early detection strategies for breast cancer and heart disease is pretty amazing,” said Ivory. What’s next for WBHI? The organization has field-tested and perfected its model in South Florida and is looking forward to expanding, first throughout the state, and eventually throughout the nation to impact future generations, college campuses and underserved women. WBHI invites everyone to join the movement. Those interested in investing in WBHI’s mission can discover further opportunities to get involved on the organization’s website and join us for Aventura Mall’s Breast Cancer Awareness Pink Walk on Sunday, Oct. 14, in partnership with the WBHI: RSVP here. Today, the team has touched more than 110,000 households and continues to grow exponentially. The organization expanded its efforts with the integration of heart disease in 2013, the leading cause of death in American women. The organization continues to impact countless women through its core program, the door-to-door outreach campaigns, along with referral and annual re-screening programs. Volunteers visit nearly 1,500 households during the first three Saturdays of outreach campaign months, equipped with educational breast- and heart-health packages.